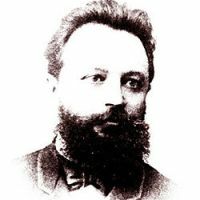 The International Chess Festival “Mikhail Chigorin Memorial 2013″ is taking place from 4th to 13th October at the Park Hotel in St. Petersburg, Russia. The Festival consists of two events: Blitz tournament which was held on 4th October, and Classic tournament which is a Russian Cup Stage on 5-13th October. The Blitz tournament was played over 13 rounds of Swiss system with the time control 3 minutes + 2 seconds increment per move. The prize fund for this event was 200,000 RUB (approx 4,600 EUR). 155 players from 13 federations, including 30 Grandmasters, competed in Blitz. Grandmasters Rinat Jumabayev, Ivan Bukavshin, Pavel Ponkratov and Evgeny Levin shared the first place with 10,0/13 points each. Jumabayev is declared winner on best tie-break. Full standings below.